The Face® Companies have reached their first licensing agreement for the revolutionary Evergreen® Evercell™ technology. 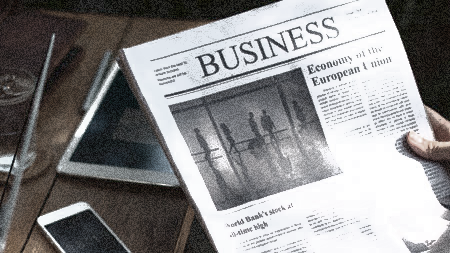 Click on the News link below to see the announcement. For all its promise, the Internet of Things faces a major obstacle to its growth. Its wireless sensors and transmitters depend on batteries. Batteries run down and have to be replaced. That requirement makes batteries unacceptable for many applications, and it seriously limits the installation of IoT devices in hard-to-reach locations – within the concrete of bridges and dams, for example, or in remote and dangerous terrain, or within the human body. But now, there’s a solution. The revolutionary Evercell™ can power wireless controls and other small devices such as quartz watches for their entire lives – without batteries. Click here to see a demonstration. 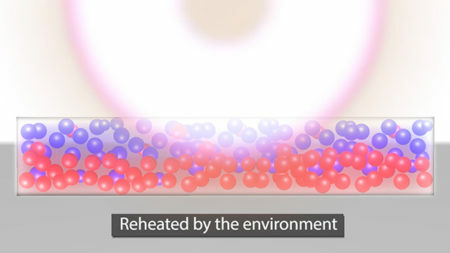 In essentially any environment where the temperature is above absolute zero (minus 460° F), Evercell™ harvests thermal energy to generate a very small, nonstop flow of electricity, enough to power billions of devices in the Internet of Things and beyond, while keeping billions of toxic dead batteries out of the world’s landfills. Above a temperature of absolute zero, the tiny particles in all matter are constantly in motion. 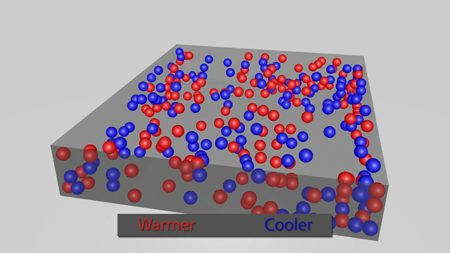 Within the same material, some particles are warmer (more active), some cooler (less active), and their average is the temperature we can feel and measure. 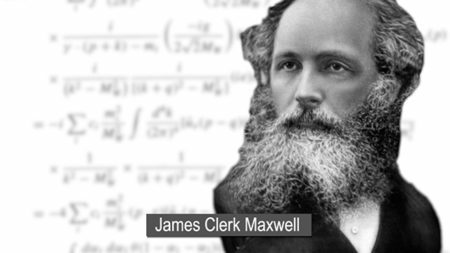 Noting this, the nineteenth century physicist James Clerk Maxwell conducted a thought experiment. If we could somehow send the warmer particles to one side of the material and the cooler particles to the other, he said, we could generate electricity. And that’s what Evercell™ does. Up until this century, Maxwell’s vision was considered interesting but irrelevant, because separating the particles into warmer and cooler zones would require more work-in than the energy-out it would produce. But Evercell’s™ performance is actually supported by the latest thinking in the field of quantum thermodynamics as reported by the most prestigious journal in physics – Physical Review. For details, see the answer to Questions 4 and 5 of our FAQs. Evercell™ operates entirely passively, simply from the layering of certain engineered materials in a way that promotes the release of electrons through the phenomenon of quantum tunneling. 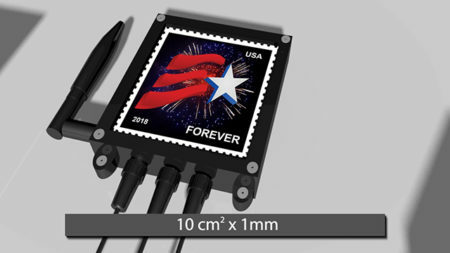 No matter the measured temperature, an Evercell™ creates a thermoelectric potential, based only on the difference in temperature of the particles. The patented Evercell™ will never run down, because its particles will always have a temperature difference. And they’ll always be re-heated by the ambient environment, as long as it’s above absolute zero. About the size of a postage stamp, the Evercell™ is made from inexpensive, non-toxic materials, uses no fuel, and has no moving parts. And unlike a battery, it will typically outlive the sensor or transmitter it powers. An Evercell™ demonstrator has been running continuously at Face® Companies headquarters since 2016 with zero reduction in performance. Another has worked flawlessly while frozen in a block of ice. Research and development on Evercell™ is ongoing at Old Dominion University’s Applied Research Center on the campus of Jefferson National Lab in Newport News, Virginia. This joint Face®/ODU project is focused on generating more refined data and optimizing the fabrication process. It will set the stage for additional licensing agreements to be negotiated with manufacturers and users of the technology beginning in 2019. Additional R&D will begin soon at BRIDG, a not-for-profit, public-private partnership based in Osceola County, FL that specializes in advanced sensors, optics, photonics and manufacturing devices. 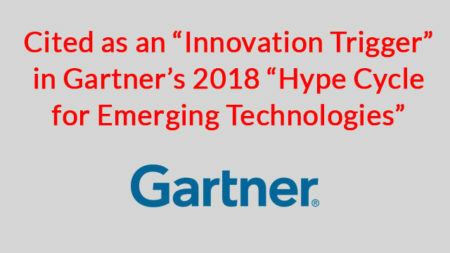 And the world’s leading business research and consulting firm, Gartner, Inc., has featured Evercell™ as a potentially game-changing “Innovation Trigger” in its closely watched Hype Cycle report for 2018. Evercell’s™ commercial potential is breathtaking to contemplate. 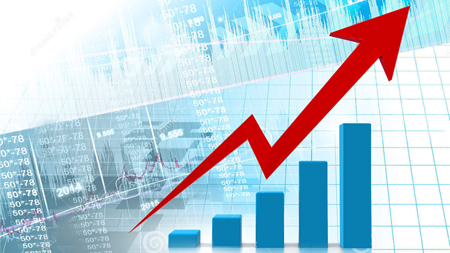 A major 2017 study, published by IDTechEx before Evercell™ was publicly revealed, concluded that the “battery problem” has been the principal impediment to further expansion of the Internet of Things – reducing its potential for growth by 80%. In other words, a battery replacement like Evercell™ could expand the population of low-power IoT devices by a factor of five. That’s hundreds of billions of additional devices in the next few years, not counting myriad other applications beyond the IoT. 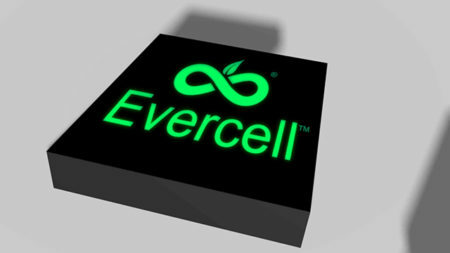 Evercell™ will give us, at last, an inexpensive, reliable, continuous source of power for small wireless devices. It promises to vastly expand the Internet of Things and improve our lives in many other ways. Evercell™ is one of the Evergreen® energy harvesting technologies developed by The Face® Companies.